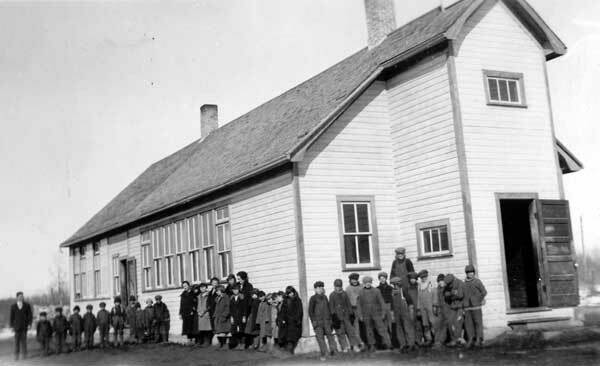 The Mowat School District was organized formally in April 1903 and a one-room, wood frame building was erected the next year at SW7-29-18W in the Rural Municipality of Mossey River. A larger schoolhouse replaced the original one sometime in the 1920s. It was destroyed by fire in January 1951 and was replaced later that fall. The district joined the Dauphin-Ochre River school area in 1967 and closed in June 1968, with remaining students bused to Dauphin. 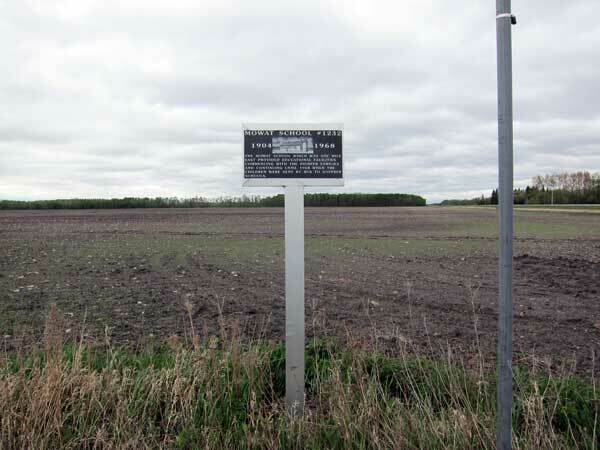 The building is no longer present at the site, having been moved to the village of Sifton in 1969 and used for a short time as a pool hall, after which it was vacant. A sign commemorates the school at its former site. The other teachers of Mowat School included George E. Basham (1904-1905), Miss Hill (1905), Mr. Barrett (1905), Bob Frame (1905-1906), F. H. Whole (1906-1908), Mrs. Emma Rice (1908-1910), Miss Marcroft (1910-1911), Alvin Swanton (1911-1912), James “Jim” Lintick (1913-1915), Grace Beach (1916-1917), John Mayne (1917-1918), Miss Kenner (1918), Fred Jarvis (1919-1920), Mr. Pepper (1920-1922), Rita Breakey (1922-1923, 1926-1927), Clarence David “Casey” Voigt (1923-1926), Ethel Whitney (1927-1929), Emma Serbin (1929), Mary Reid (1930-1931), Edith Watson (1932-1933), Anna Campbell (1934), Evelyn Davidson (1934-1939), Elsie Burton (1939-1942), Mrs. Mary Shannon (1942), Mrs. Ruth Galbraith (1943-1944), Mrs. Alice Drebnisky (1945), Nick Stokotelny (1946), Mrs. Garlinsky (1947-1948), Mrs. Muriel Waters (1949-1950), Wally Homeniuk (1950-1951), Rose Berezowicki (1951), Mrs. Beulah Waldack (1952-1954), Jean Zaplitney (1954-1955), Stella Orisko (1955-1957), Betty Fleming (1957-1959), Barry Knight (1959-1960), and Mrs. Ethel Stanley (1960-1968). GR8461, A0233, C131-2, page 81.